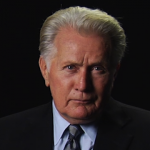 Martin Sheen is an endorser of Project Unspeakable! We are excited about our plans for a major Boston reading of the Documentary Script and ongoing work to see a workshop or full production of the Theatrical Script. We know many communities have engaged in lively discussions and felt more personal connection to the plays’ important content by participating in readings, and we hope to have many more groups and individual continue learning, posing questions and challenging the silence, subterfuge and inertia of the Unspeakable. Your donations help us to continue our work to liberate the truth through live theater – we are very grateful for your support! If you would like to make a donation with a credit card or Paypal account, please click the "Donate" button below. Those funds are wholly used by Project Unspeakable, but cannot be processed as tax-deductible donations. You can mail a check to the Pilgrim Theatre (our 501(c)(3) Fiscal Partner) as a tax deductible donation. Checks should be payable to Pilgrim Theatre, and mailed to: Project Unspeakable, 121 Montague Road, Wendell, MA 01379. You will receive a confirmation letter for tax purposes. "It was a beautiful way to bring all ages and a variety of people, who live in the same city, together to do something constructive -- to tell this story that must be told. Now those readers want to host their own readings in the coming days and months." —Iya Bush-Olatunji, a long-time personal friend of Malcolm X and his wife, Betty Shabazz, on the reading she and her daughter hosted in Brooklyn, NY. Thank You for supporting Project Unspeakable!